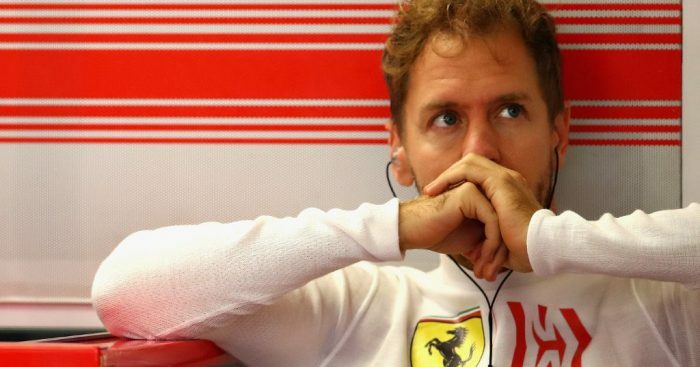 Ferrari did not, at least not publicly, “protect” and “support” Sebastian Vettel in this year’s title fight; that’s according to former driver Pedro de la Rosa. Last time out in Mexico, Vettel’s chances of winning a fifth World title evaporated when Lewis Hamilton took the chequered flag in fourth place. That gave the Mercedes driver an unassailable lead in this year’s championship. It was at one stage a championship that looked like it would be heading to Maranello on Vettel’s shoulders only for a few big mid-season mistakes to cost him. Vettel lost momentum, Hamilton gained it – and a fifth World title. “Ferrari have had a car at Mercedes’ level in every way for the first time in the hybrid era,” de la Rosa told Spain’s El Confidencial. The Spaniard cited Ferrari’s lack of robust support for Vettel after his errors in Germany and Italy. Asked to explain what he meant by ‘protect’, de la Rosa added: “In the life of a driver, when you make a mistake, but particularly when you’re at Ferrari, the team has to protect you. “If it does not, it’s very difficult for the driver to handle the pressure generated by his own mistake. “I remember when he crashed in Germany, it was a very strong blow to Vettel with a very prominent error but I didn’t see a very strong defence of the driver. I didn’t see it. “Then came Monza, when Hamilton overtook him dramatically and won the race. “I think that given the pressure Vettel was suffering, I would have expected more public support from the team. “Maybe he had it [the support] internally but it should have been public to relieve the pressure, especially from the Italian press.